Often we advocate for this ladies and even urge them to quite an abusive relationships or marriage, yet they stay in it and hope it will change for good. Abusive husbands never ever change. It is very rear but this ladies cannot heed to simple instructions. Yes sometimes you invest too much in a marriage or a relationship that quitting is not even an option, especially when kids are involved. But does it worth your life? Some people never come out of it unscattered, just like this mother of 5 that lost her life to an abusive husband. 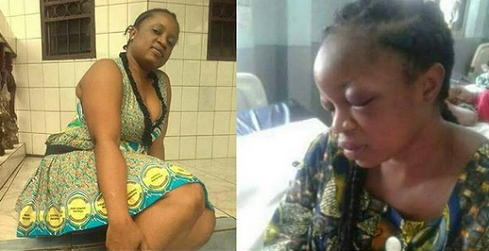 According to information, a man in Cameroon has beaten his wife, Harriet Atanga a mother of 5 to death. According to reports, it won’t be the first time he would beat the mother of his children, and on June 7th, he beat her to stupor and was rushed to the hospital. She later gave up the ghost. 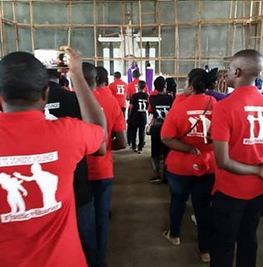 According to her friends who wore STOP DOMESTIC VIOLENCE shirts, the only reason Atanga stayed in the marriage was because of her children. 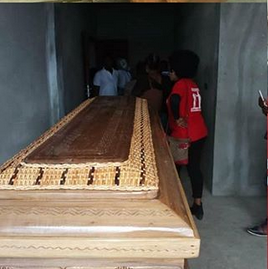 The sad incident happened in Mile Four, Limbe, Cameroon. She was laid to rest on Friday, June 8th.